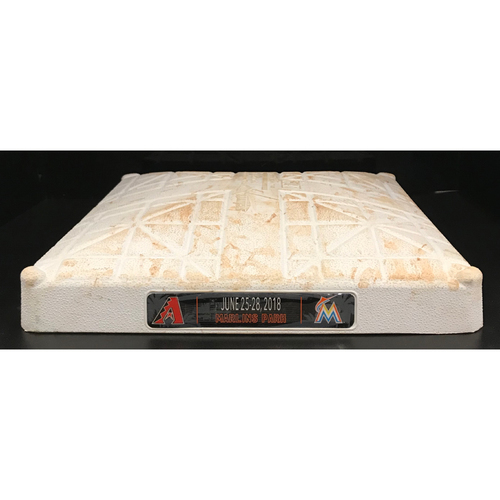 This third base was used at Marlins Park from the first through third innings from June 25th through June 28, 2018. Please be aware this base does not have a metal peg underneath it. This auction is hosted by the official Miami Marlins Team Store. Every Game-Used, game worn, or game ready product has been authenticated by Major League Baseball.